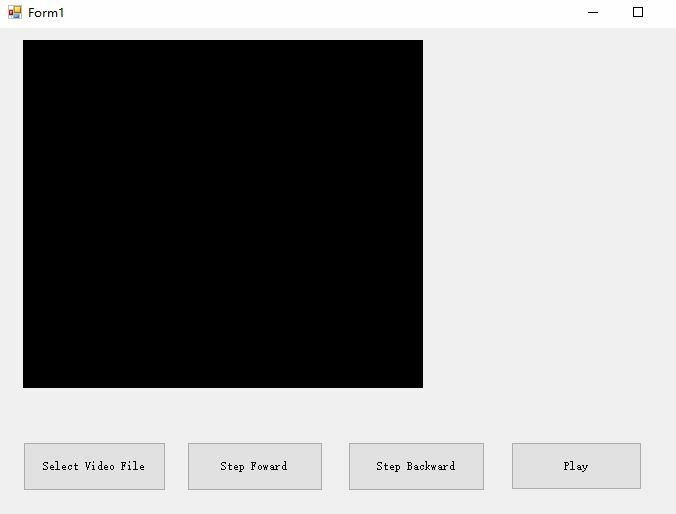 It is a Windows Media Player SDK that support change playback rate, draw overlay image, swf file and text with C# , VB.NET , C++, VB, Delphi, Vfp, Ms Access. 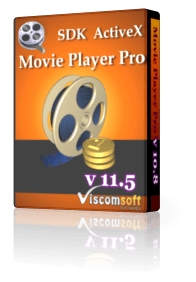 Step 1: To install the Movie Player Pro SDK ActiveX Control, begin by launching the setup file (http://www.viscomsoft.com/demo/movieplayerprosetup.exe). Select the desired installation folder for the Movie Player Pro ActiveX and continue with the installation on your development computer. 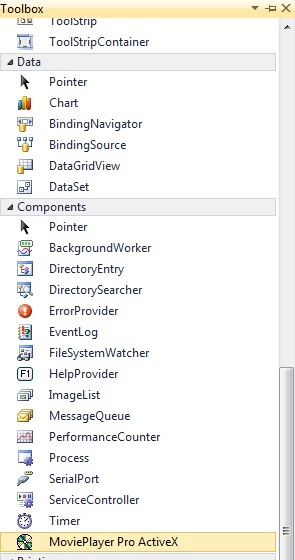 Step 4: Select COM Components tab, select Movie Player Pro ActiveX Control , click OK. Step 5: Now you will see the Movie Player Pro ActiveX's icon on toolbox, drag it to form. Step 6: Add 3 buttons on form. In button1, change Text property to "Select Video File"
In button2, change Text property to "Step Forward"
In button3, change Text property to "Step backward"
Step 7: Add the following code in button1 click event. It allow select the MP4 video and play it. Step 8: Add the following code in button2 click event. It allow step frame forward. 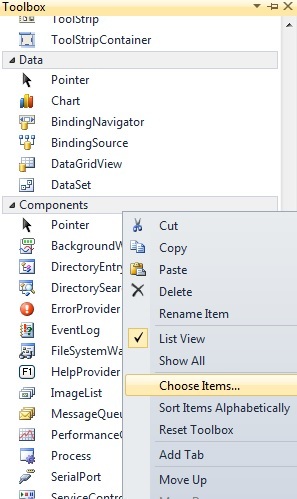 Step 9: Add the following code in button3 click event. It allow step frame backward.